Time for a bit of nostalgia! 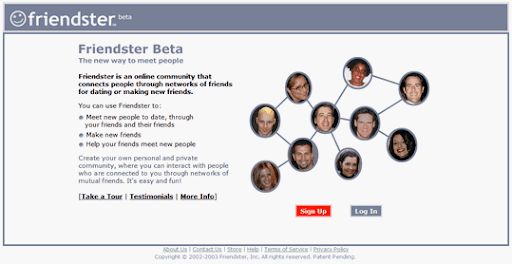 In 2002, prior to the creation and adoption of Facebook and MySpace, two computer programmers from Mountainview, California named Jonathan Abrams and Chris Emmanuel conceptualized and founded Friendster. 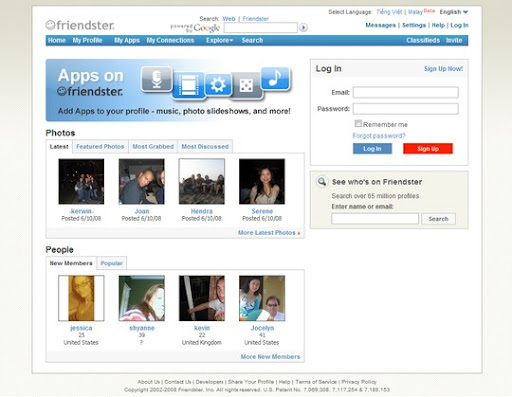 Friendster was created to offer a safer and more effective environment for connecting with friends and friends of friends and for meeting new people by browsing user profiles. Friendster as a company was founded in 2003 with $12 million investment by Kleiner Perkins Caufield and Byers, Benchmark Capital and private investors. 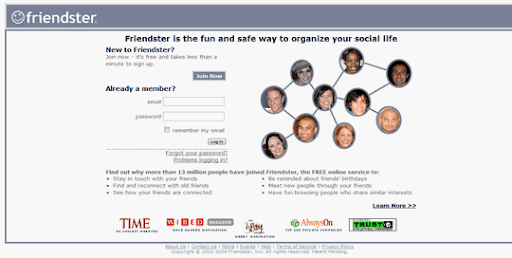 Friendster.com officially went live in March of 2003 and was quickly adopted by 3 million users in a matter of months. 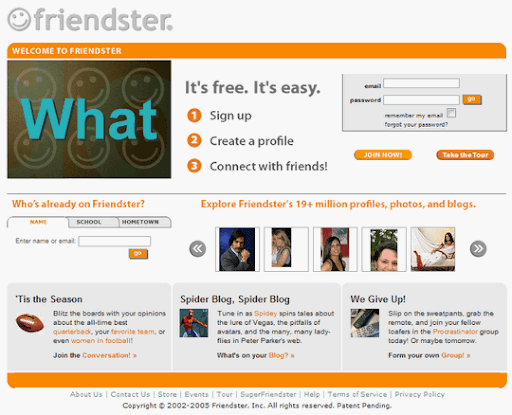 During the same year, Friendster's overnight success was featured in major publications like Time, Entertainment Weekly, US Weekly, Esquire and Vanity Fair, among others. Following the social networking site's take off, Friendster management received a buyout offer from Google amounting to $30 million, which they declined. 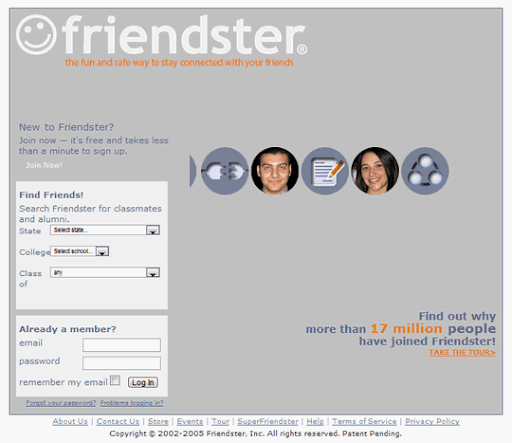 As of August 2009, there are over 12 million monthly active users on Friendster coming from the Republic of the Philippines. 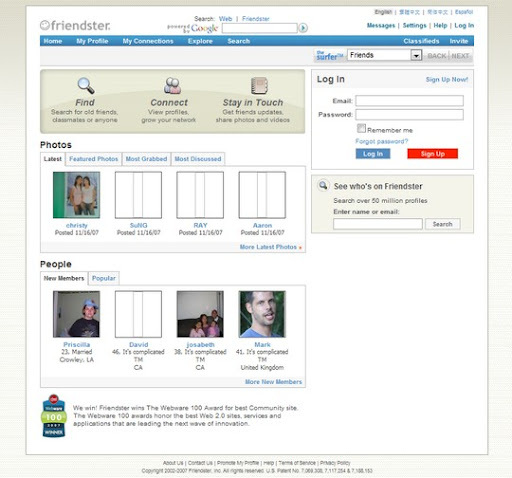 Over 90 percent of the Internet users in the country visit Friendster per month; A typical user spends 30 minutes a day on Friendster and visits Friendster several times a week. 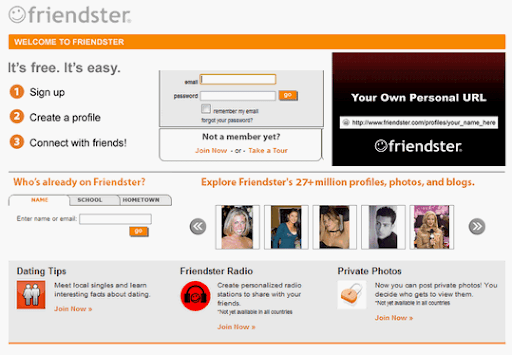 Amidst steady growth in membership, Friendster released several login page revamps in 2005. Orange and grey became the staple hues on the interface. In February 2006, Friendster received $3 million funding from Kleiner Perkins Caufield & Byers and Benchmark Capital. August of the same year, Friendster was given an addtional $10 million funding by DAG Ventures. In 2007, Friendster was named as one of the Top 100 Private Companies by AlwaysOn Media. 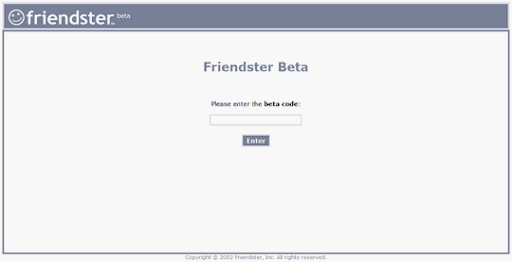 During the same year, Friendster refreshed the login page incorporating blue gradient hue. In August of 2008, Friendster hired Richard Kimber, a former Google Executive, as its new CEO. Expansion in Asia became is primary focus. 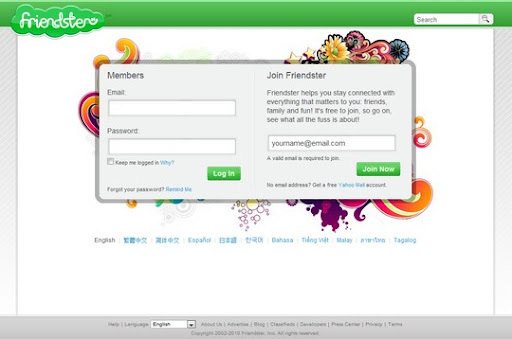 On December 10, 2009, Friendster was relaunched with a new interface created in conjunction with Malaysian Company - MOL Global, the social networking company's new global partner. MOL is a leading payments provider leveraging a network of more than 500,000 payment channels worldwide both physical and virtual. Friendster partnered with MOL to power Friendster Wallet, a payments platform enabling micro-spending for more than 115 million Friendster users. Share your Friendster story us! Please leave your comment below. ~ All screengrabs courtesy of Friendster.